Reptiles have a significant role to play in the world and lives of many families who love pets. Some of the reptiles that these pet lovers cherish are chameleons, snakes, and lizards. This calls for incubation of their eggs to be subjected to better conditions that will lead to better and higher hatching chances. However, there is a very significant difference between reptile eggs and bird eggs that most people are used to incubating. That is why their incubators are different and there’s a need for different information about raising these majestic creatures. 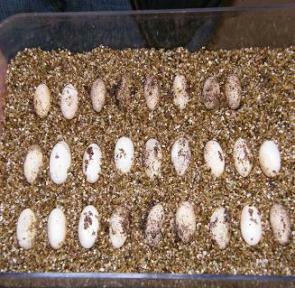 This article gives you a systematic guideline about incubating reptile eggs. We cover areas such as incubation containers, ventilation, media and temperature. 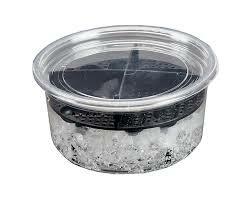 First of all, you need to select an incubation container that is suitable for the kind of eggs that you want to hatch. In addition, you need to use a hatching container that is large enough to contain the number of eggs for hatching and it should have enough surface area for that will allow for the circulation of oxygen and the formation of humidity. The first and most effective method of ventilation is where you have a totally sealed incubating container that is removed for sometime every day in order to allow for the circulation of oxygen. The method is very effective and reliable because it keeps the level of humidity more constant than the next method we shall soon discuss below. The other method of ventilating the incubator is by perforating the top of the lid with a small pin. This method will require you to be weighing the incubating container in order to determine the amount of water that has been lost during the process of incubation. Use the best media to fill the incubator and the market is full of many different brands that you can choose from. You need to fill the incubator with at least 2/3 to 2/4 of the media. After this you need to fill the incubator with water that will slightly submerge the media and then make sure that the media is spread evenly before you insert the eggs into it. As you insert the eggs into the media, ensure that they do not sink too deep into it so that you can retain half of its size above the media. Another vital condition to take care of is temperature. You need to ensure that the eggs are incubated at a temperature range of between 72 and 76 degrees Fahrenheit and never allow it to rise beyond 80 or fall below 70 degree Fahrenheit. This is because when the temperatures are cool enough for the incubation process, the neonate will take a longer period of time absorbing the yolk hence hatching bigger and healthier reptiles. There you are with all the vital facts that you need to know about incubating reptile eggs. 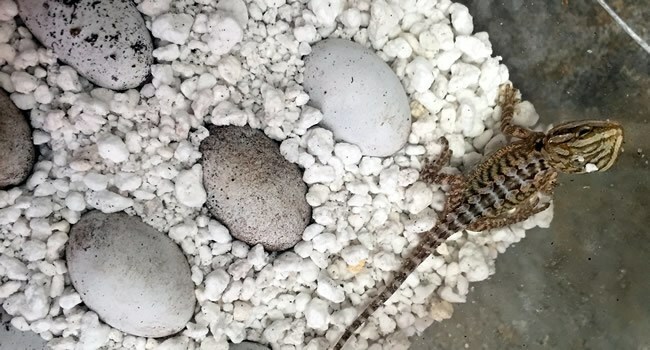 The ball is now in your court to apply them fully in order to increase your reptile pet population and get greater hatching success that is marked with healthier and bigger hatches.